"Tai Chi, or taiji, is an ancient Chinese philosophy that dates back at least 5,000 years. Some recent archaeological findings suggest that the Yin-Yang concept may be over 10,000 years old. Yin-Yang theory is based on the idea that everything in the universe is created, developed, and constantly changing due to the interaction, balance, and imbalance of Yin and Yang, which can be described as any two opposing forces, such as light/dark, cold/hot, or force/yielding. This concept of constant change and Yin-Yang balance is an approach [used] to understand the laws of nature, and the universe itself. Tai Chi (taiji), which translates as Grand Ultimate, is the creative force that lies between Wuji, the state of No Extremity, and Yin-Yang, the state of Discrimination. In Tai Chi Chuan (taijiquan), this creative force is the mind, the origin of all movement, and therefore the origin of all Yin-Yang in the body. This Tai Chi philosophy was later blended with several ancient physical exercises and martial arts forms to creature a new martial arts style known as Tai Chi Chuan, or Grand Ultimate Fist. Tai Chi Chuan is often shortened to Tai Chi, but the practitioner should be clear about the distinction between the martial art of Tai Chi Chuan, and the more ancient Tai Chi philosophy. The essential principles of Tai Chi Chuan can be traced back thousands of years to ancient Chinese health exercises and Classical Yoga in India. In the 4th century B.C., the Life-Nourishing Techniques (Yangshenfa) were [already] being practiced. 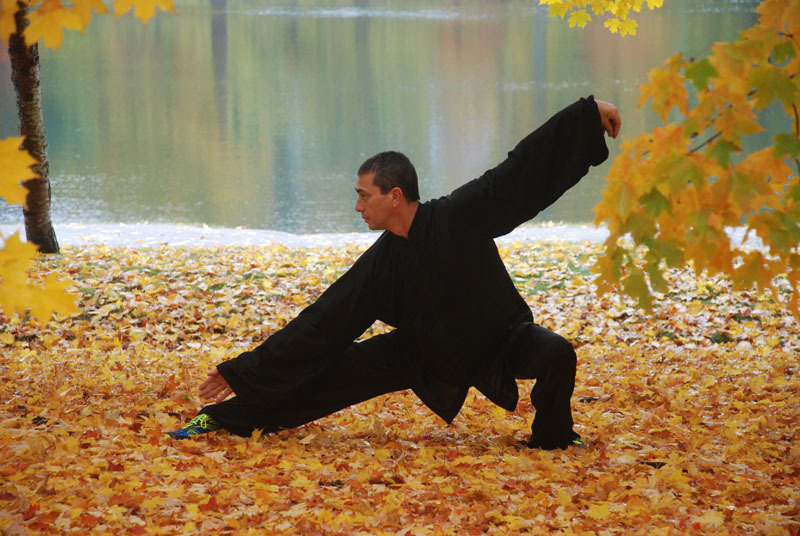 These ancient exercises included bending, expanding, condensing, and extending movements, breathing, and techniques and Qi circulation methods similar to the later internal aspects of Tai Chi. Today, Yang style [Tai Chi Chuan] is most popular worldwide, followed by [the four other major styles] Wu, Chen, Sun, and Wu/Hao. Each day, millions of men and women worldwide practice Tai Chi Chuan, which has been known for centuries to promote deep relaxation, excellent health, and the prevention of injuries and illness. This gentle moving meditation teaches you to find balance between strength and flexibility, increases bone density, [and] involves all of the various soft tissues in your body: muscles, tendons, ligaments, fasciae, and skin. The slow, repetitive practice of Tai Chi gently increases and opens the internal circulation: breath, body heat, blood, peristalsis, metabolism, Qi energy, etc. As you progress in the training, this enhancement develops a lasting effect, reversing the physical effects of stress on the body, improving physical health and longevity, and allowing abundant Qi energy to be stored and circulated in the body." What about QI and qi GONG? Qi is energy. All things in the universe are comprised of energy at their fundamental level. Most often, qi is discussed as it related to health and internal arts practice. This energy is what circulates throughout our body, through energetic pathways known as the twelve meridians and the eight extraordinary vessels. Qi Gong is the gongfu, or study, of qi energy. Qi is your vital life force. The experience of its circulation is well documented in ancient Chinese and Indian manuscripts and traditions. Over the centuries, millions of people have tried to connect to their energetic system, build it up, remove stagnation, and improve circulation. 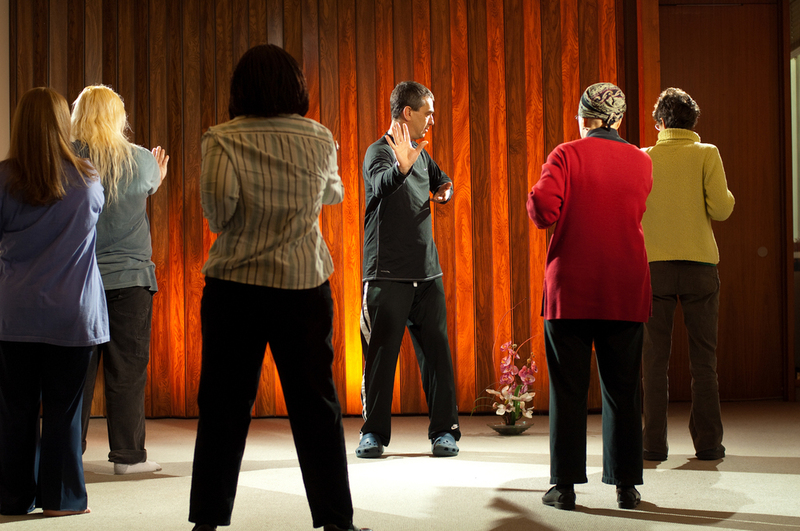 They have done it through sitting, standing, moving, and healing meditations. Some philosophies emphasize body, mind, and spirit with the belief that if you cultivate each of these elements, your energy will become more abundant. Every one of the trillions of cells in our body contain energy, which is transmitted from air to blood to tissue to bone marrow and back out to the energetic bubble surrounding us. Practitioners of qi gong and the internal arts use visualizations for the sole purpose of upgrading this energetic system, and thereby maximizing their body's natural healing capacity.